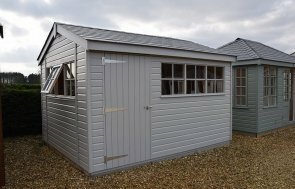 This Superior Shed was ideal for our customer who wanted to add extra character to their garden surroundings, but did not want a boring and regular shed. 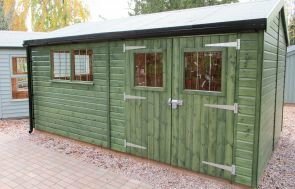 They opted for a Superior Shed with roof overhang, together with a double door option to allow for larger pieces of garden furniture to be stored easily during the winter months. 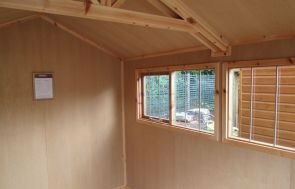 Additionally, they installed an internal workbench to allow DIY projects to be completed and included floor, wall and roof insulation to enable them to use the garden shed throughout the year. They chose a green Sikkens translucent stain to provide long lasting protection, but which still allows the natural beauty of the wood grain to show through. Heavy duty roofing felt, offering greater longevity than standard roof coverings completed the look. 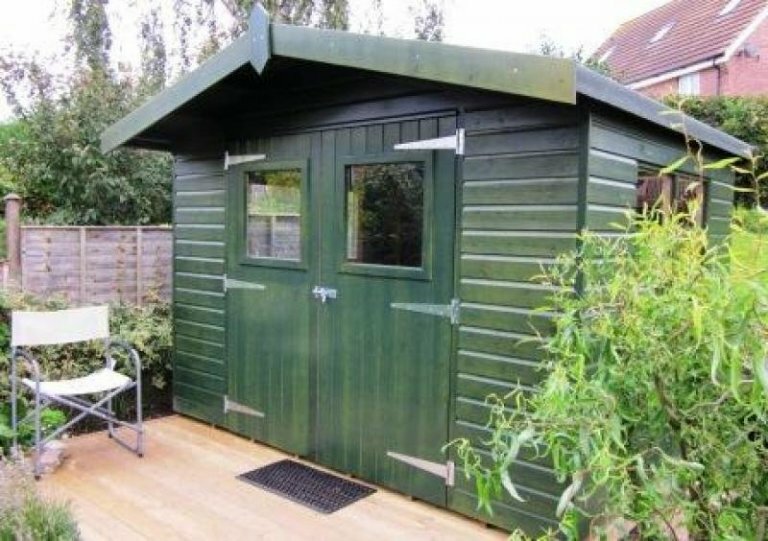 Why not customise your own garden shed with our online Garden Shed Builder tool. Tailor the window, door, interior and exterior finish to your exact requirements. Simply click on the Get My Shed Quote button below to get started.